Come spend a week hiking through history in the beautiful San Mateo and Magdalena Mountains of New Mexico! 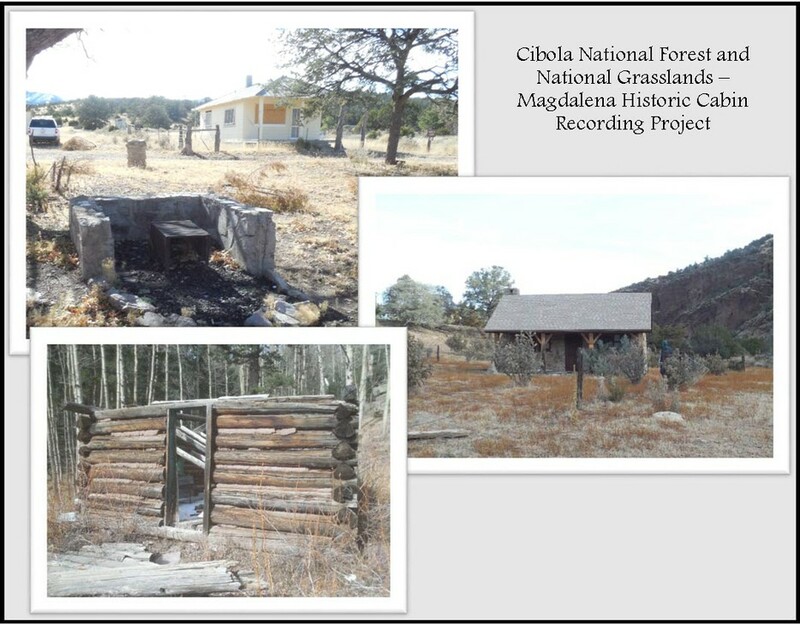 Historic cabins can be found all over the Magdalena Ranger District of the Cibola National Forest and National Grasslands, but, due to the remoteness of the area, many have never been recorded and some, while recorded, have not been visited in many years. These cabins are from a full range of different time periods, and are located in various and unique spots across the region. PIT volunteers and FS staff will travel by foot to these cabin locations. Some will require only a short hike from the nearest road to the site; others may require more difficult trekking to reach them. But, at each cabin, we will thoroughly document the exterior and, possibly, the interior of the structure and any associated outbuildings or features. We plan to evaluate several of the cabins for the USFS adaptive reuse program, which supports the sensible reuse of historic buildings for conversion to rental cabins; other cabins we encounter will be recorded to determine their current condition, susceptibility to fires, and eligibility form placement on the National Register of Historic Places (NRHP). This is truly a beautiful location with amazing vistas, and opportunities to see, first-hand, some structures that may not have been viewed since they were last in use! We hope to see you in June!